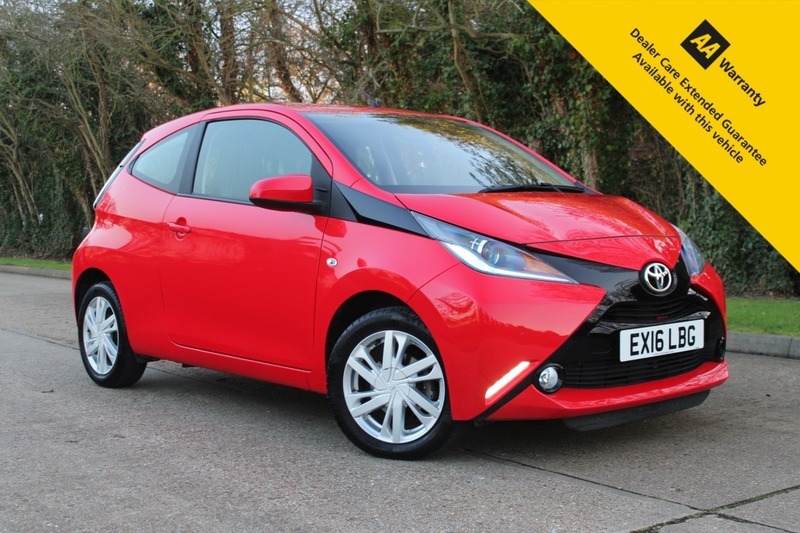 Here for sale at Leigh Cars Ltd we have a super example of the popular Toyota Aygo 1.0 3dr VVT-I X-PRESSION finished in brilliant red. This particular 1 OWNER LOW MILEAGE example comes with a SUPERB FULL TOYOTA SERVICE HISTORY, LAST SERVICED @ 5,600 + BRAND NEW ADVISORY FREE MOT. The X-PRESSION specification level comes with some great specification including AIR CONDITIONING, BLUETOOTH, MP3 + USB CONNECTION, TOUCHSCREEN MEDIA INTERFACE, STOP START SYSTEM, REAR PARKING CAMERA, CRUISE CONTROL HALF LEATHER INTERIOR, ALLOYS, 2 REMOTE CENTRAL LOCKING KEYS + much much more. If you are looking for a stylish city car that is incredibly reliable, has a superb ride and is a pleasure to drive.... then this is definitely the car for you. This particular car is ZERO ROAD TAX PER YEAR and will return you an AVERAGE OF 68.9MPG. This is an Ideal first car or 2nd family car as it is EXTREMELY CHEAP TO RUN AND IS IN THE CHEAPEST INSURANCE GROUP AVAILABLE.